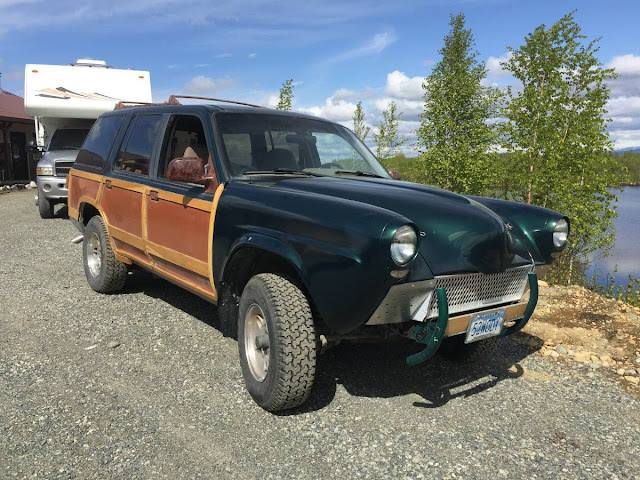 Imagine for a minute that you are insane want the comfort and reliability of a 90s Explorer combined with the looks of a '52 Studebaker and faux wood sides of various classic woodies. Taken alone each one of these things is perfectly good, but combined it sounds like a plate of deep fried gummy bears covered in BBQ sauce or a zydeco/punk rock Britney Spears tribute band. 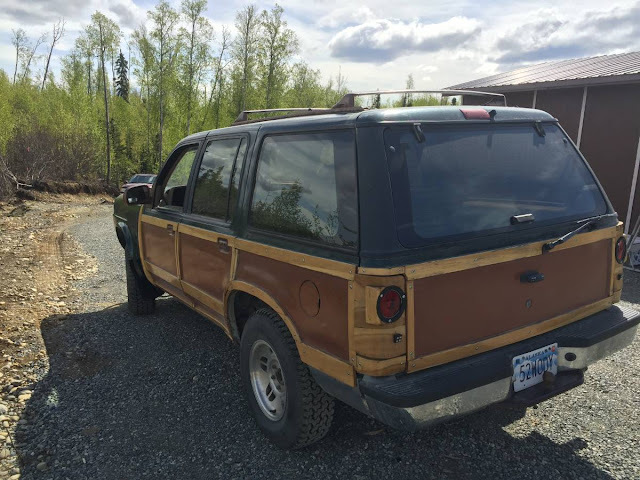 Take a look a this 1992 Ford Explorer Sudebaker Woodie Lookalike offered for $2,700 near Anchorage, AK via craigslist. Tip from Zach. The Ford Exploder is known for its participation in the recall of 14 million tires that were blamed for more than 200 rollover deaths across the USA. Of course everyone knows this was total bunk and it was a conspiracy by the Freemasons, but this isn't the time or place to discuss this kind of thing. Still to this day...people leave uhaul disgruntled when they find out they can't rent a trailer because their suv says "explorer"...how many years later? I don't think any U-Haul employee will recognize this one...HEY, you just solved why someone did this! Well done Mr Y Mous! It looks like someone totaled the Explorer possibly by hitting an animal with the front end and had an old Studebaker front clip in his garage. Not sure about the woody part which ends at the front clip? I like the 5-speed stick, but no mileage mentioned. Hilarious! The Freemason part is true, isn't it? I can't discuss this kind of thing over the internet, but we can talk in person after we get our tin foil hats properly secured at our weekly meeting in the tree fort. The New Edsel SUV ! Please beam up this week's tin foil hat time and locale again. I used aluminum foil and your signal was intermittent. BTW, your collective asses are in a sling with the Free Masons. You KNOW you were not supposed mention that part! All of us Racoon Club members were pretty shocked that you knew about that as well. Pretty funny blaming the tire companies. Like blaming charcoal companies for the Pinto explosions.